Samsung Galaxy S10, S10+, and S10e users on Sprint network have been reporting serious network connectivity issues ever since the devices launched. Majority of the complaints have been regarding data OR LTE connectivity failure. Galaxy S10 plus won’t stay connected to LTE. Text messages are also super slow to send. Are there any known fixes to these issues? If you do a quick search on the Internet, you’ll find similar complaints from Sprint users spread across online forums as well as social networking platforms. @sprint @SamsungMobileUS how do you fix slow speeds/no LTE for the S10+? But turns out the problem is at Sprint’s end. Someone from Sprint whose Reddit profile says they are “Verified Strategic Accounts Manager – Corporate” revealed this past weekend that their network operations team is investigating the problem. 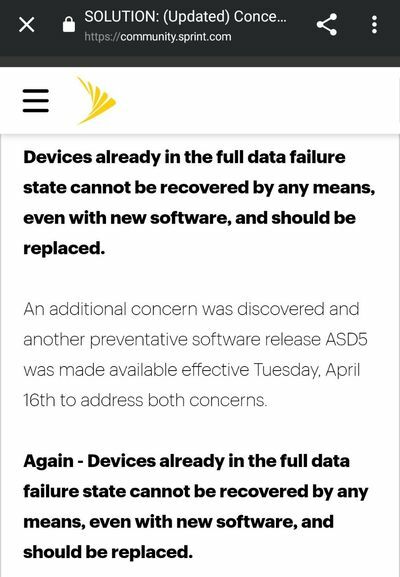 While the Sprint employee couldn’t give an ETA for the fix, it’s good to see they have confirmed the problem is officially acknowledged. Another good thing is the Reddit user responded to queries from affected S10 users. Qn. Are they working on this as a whole when it comes to the issue or is it a city by city or case by case thing. When asked for a workaround or a temporary fix, the Sprint employee said they’re not aware of anything yet. However, we were able to dig out a workaround that many users confirmed has worked for them. It’s disabling band 41. So there you go. Sprint has officially acknowledged the issue and some people have managed to fix it temporarily with a workaround. If you are affected, we encourage you to give this workaround a try, and let us know your experience in comments below. 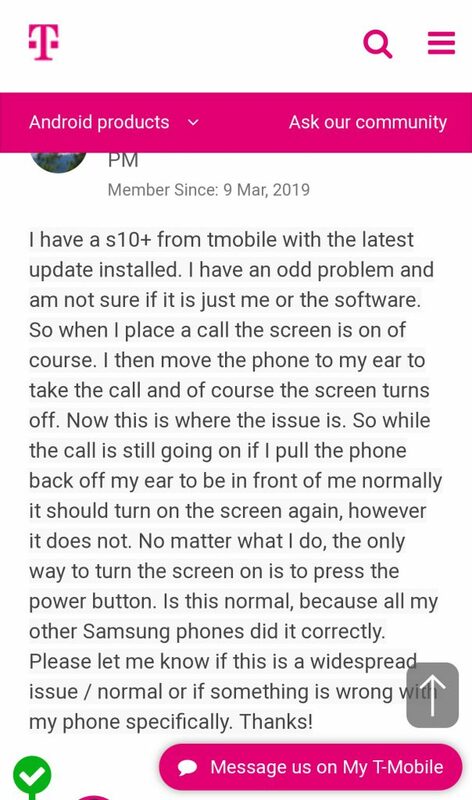 While this may seem to be a carrier specific problem, the Galaxy S10 series are plagued with multiple problems of their own. For example, just today, we highlighted how users are reporting about devices’ proximity sensor behaving erratic during phone calls. Late last week, one of our investigations had also revealed some annoying Bluetooth issues that have been affecting music playback and connectivity with car headunits. 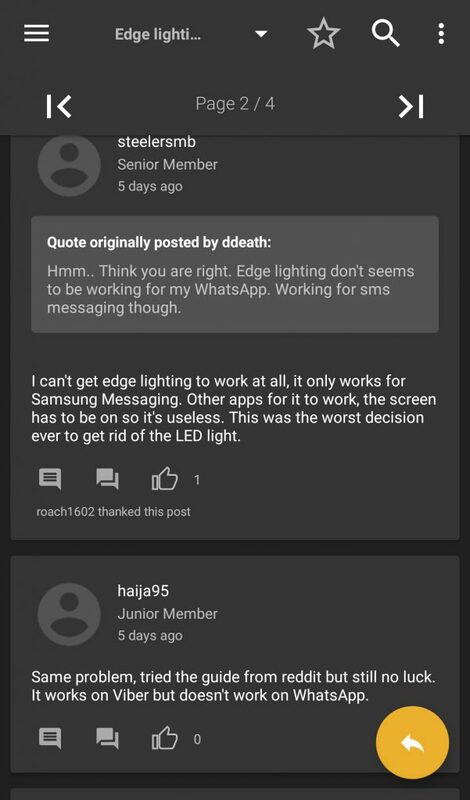 Then there have also been reports about the Edge lighting feature either not working or acting glitchy. 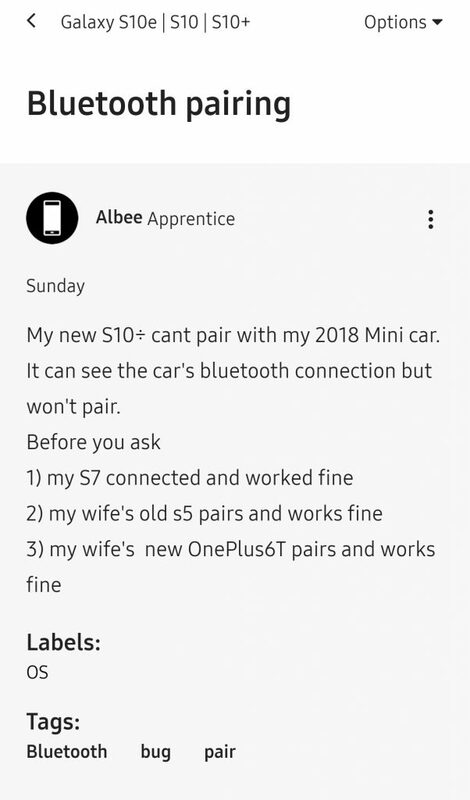 For more Galaxy S10 series issues that we have discovered, head here. The same Sprint employee whom we referred to earlier in this story recently revealed that a fix is likely arriving soon. Specifically, they said a new update will be pushed out on March 27. Comment from discussion corys00’s comment from discussion "Galaxy S10 Data Failure". As you can see in the statement above, if this update fails to fix the issue, then RMA would be the only option for affected users. Let’s hope the situation doesn’t come to that point. Samsung is currently rolling out a new OTA update (build number ends with ASC8) for Galaxy S10 series. Along with the March security patches, the new build brings new fixes to Wireless Powershare and camera stability. The same update is likely to come on Sprint Galaxy S10 variant to fix the LTE connectivity issue. Details here. Sprint officially published a knowledge base article regarding the glitch in their community forums. Please ensure basic device troubleshooting steps are completed including but not limited to PRL update, Profile Update, Software update, Power cycle, and factory data resets. If resolution is not found, then a ticket should be opened through customer care for further network investigation. If the troubleshooting efforts result in the device reacquring LTE then it does not need to be exchanged. Device exchanges and SIM swaps should only be considered after basic troubleshooting and ticket creation has been completed and LTE has not bee reacquired. The issue will be resolved with an upcoming software release. The March update (ASC8) is reportedly rolling out for the Sprint branded Galaxy S10 models. Do let us know whether the network issues are fixed after installing the new update or not. 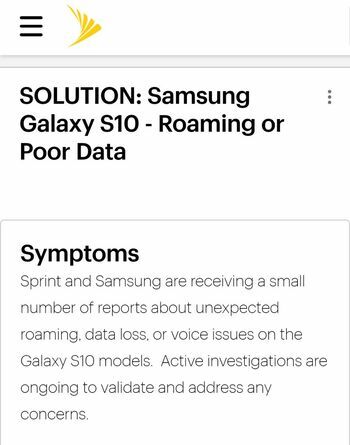 Sprint has officially admitted the LTE / data connection issue with Galaxy S10. The carrier now suggests to opt for RMA if the latest ASC8 update can’t solve the bugs. For more details, give our article a read. This notice has been posted here. 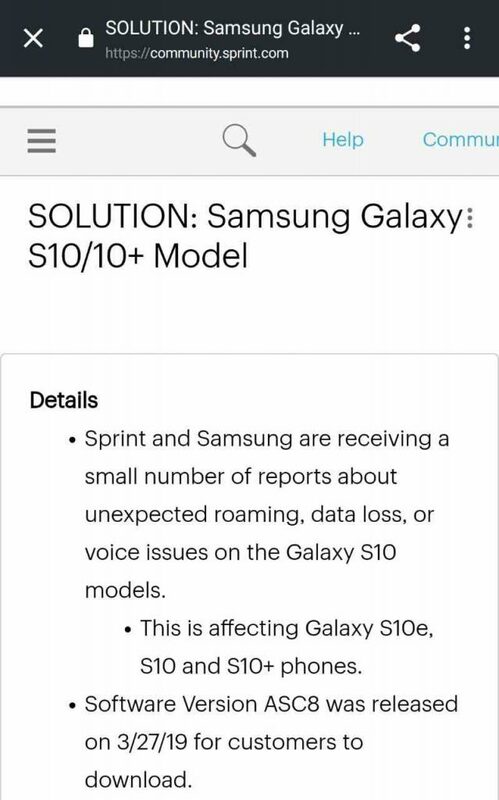 As per previously announced schedule, Sprint is currently rolling out a new update for Samsung Galaxy S10+ to fix LTE issues. It also brings April 2019 security patches. Sprint rolled out a new OTA for Galaxy S10 to fix connection issues. However, users are still facing the same glitches, even after upgrading to the build.